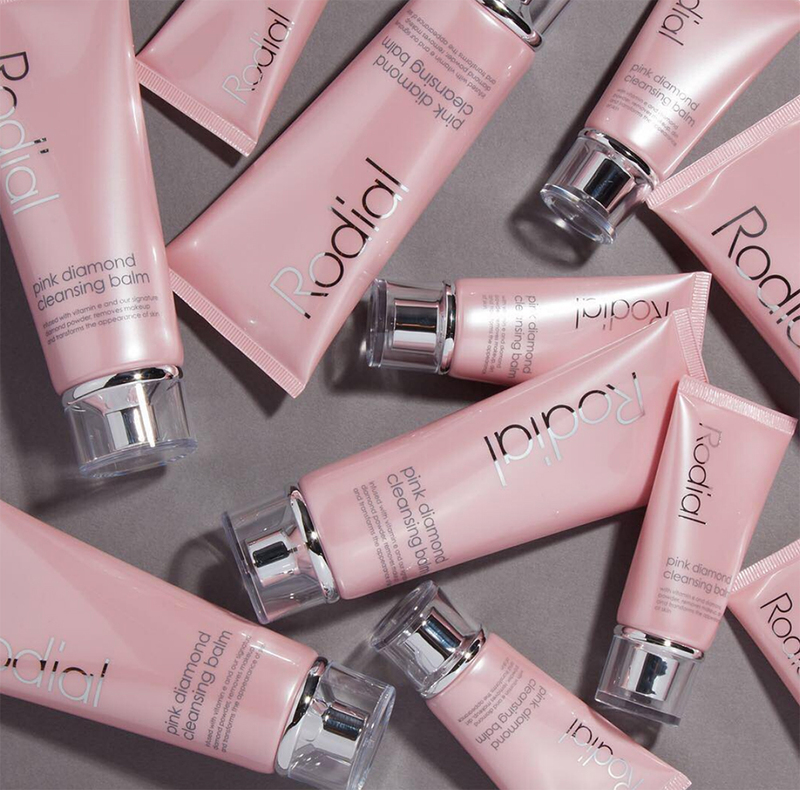 You may know Maria Hatzistefanis as the super stylish founder of a cult skincare brand Rodial, but she also runs Nip + Fab, is a patron of the British Fashion Council and an author of How To Be An Overnight Success. She took some time out of her busy fashion week schedule to share with us some words of wisdom and what she has learnt from her incredible career. I check my emails from overnight, I usually wake up to lots of emails from the USA and Asia. Then I check Instagram and reply to any questions on my account @mrsrodial. My phone, Rodial Diamond Concealer and sunglasses. My team are achieving great things for our brands. I love the variety and the craziness. I like that every day is different, but equally busy. I love Harvey Nichols in the Mall of Emirates. I like to go and check out the Rodial display there. I also love Nobu. 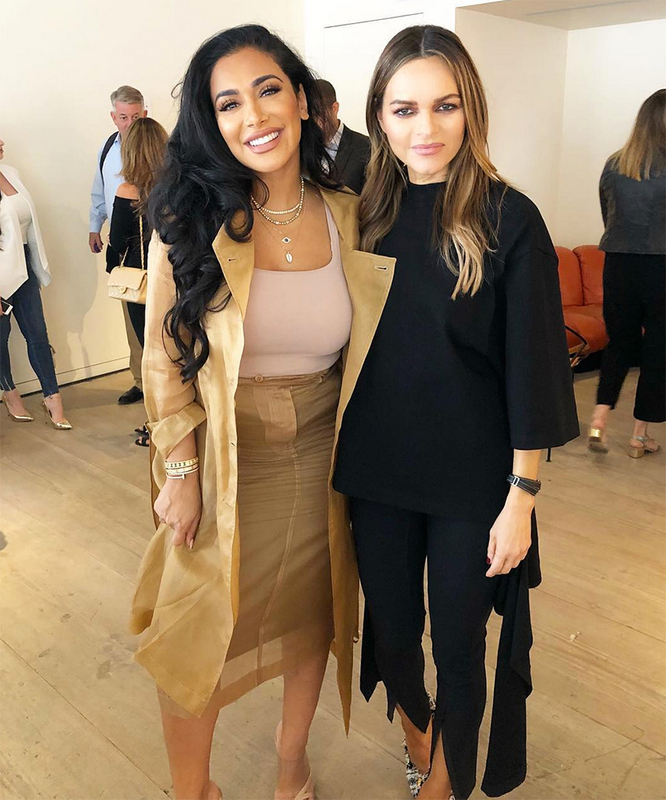 Maria Hatzistefanis with Huda Kattan. Exercise is my therapy. I like to do classes such as Barry’s Bootcamp in London and I completely switch off for the hour. Carry on being impulsive and take more risks- it works out. Not really. I have always been very impulsive, I was working in banking before I started Rodial which was something I could have never imagined doing- I thought I was meant for the corporate world but I was completely wrong. I talk a lot about my career in my book, “How To Be An Overnight Success”, which also gives really useful advice if you are thinking of switching careers. Anna Wintour, that would be an experience! As someone that took risks, and proved that you don’t need to be a big corporate to be successful.